Bitter and jaundiced, but in a good way. The usual jolly good Christopher Brookmyre fun (as opposed to the dull "Chris" Brookmyre books). Hadn't re-read it for a while - not sure why. Amazingly timeless, somehow. Not that I know, but I wouldn't be surprised if similar scenes play themselves out even today. Just as charming as its sequel (which I know better). And thanks to my Dad for getting it for me! Just wondering what electric guitar-related project to do next, so re-reading this. I still find it incredibly annoying that it refers to "S-type" guitars throughout, but otherwise it's a useful resource. 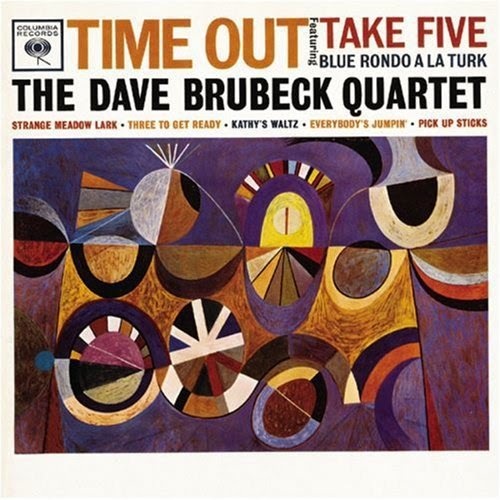 Time Out is pleasantly polite, easy-listening jazz. If that sounds dismissive then that's unfortunate; the music is unobtrusively groovy and inconspicuously accomplished. It doesn't barge its way into your consciousness, but moves in gradually, until suddenly you find you can sing along with all the tracks. Given that the linking idea between these choices is that they are in a variety of time signatures, with only a few excursions into 4/4, it's quite a feat that they should sound so natural. It doesn't feel like challenging music. I expect this is partly why it was such a success in its time - that, and the one-off, mellow hummability of the famous "Take Five" (in 5/4 time, of course). Even the featured drum solo doesn't dent its likeability. If none of this comes across as a whole-hearted endorsement, that's probably more to do with the fact that I find most jazz a little bloodless, rather than anything else. It's all ... well, like I said, pleasant. A couple of months ago I re-read Simon Hoggart's Playing To The Gallery. It's a collection of parliamentary sketches from, roughly, the first Blair term of government. I really liked it - always observant but funny, warm and fond. Off-Message covers the same period of time but is meaner and keener to score political points. It's a harder read than Simon Hoggart's book - snippy, bitchy and bitter - but, sadly, probably a lot more representative of British parliamentary politics, both then and now. Parris's sketches illustrate the ludicrously tribalist nature of British politics. To any even slightly independent or indifferent observer (say, 99% of the population), any minute differences between the Conservative and Labour policies are entirely overwhelmed by their similarities. Yet virtually the entire parliamentary calendar, not to mention vast acres of newsprint and entire epochs of television coverage, is devoted to rows about (essentially) whether the country should be one millimetre further over to the left or the right. In the first half of the book, Parris illustrates this nicely. He's an ex-Tory MP writing for The Times. You wouldn't seriously expect anything other than whole-hearted support of Conservative policy (unless it appears to be insufficiently supportive of the rights of multi-billionaire media tycoons, obviously). The sketches mock all sides, but while the tone is fond for Tories (he even manages to say something nice about the appalling Anne Widdecombe), it's downright nasty towards Labour, right from the moment of their election. This despite the fact that New Labour policy was broadly the same as Conservative policy anyway. However, there's a six month gap in the middle of the book, where Parris takes off to South America or somewhere to research another book. He resumes the sketches afterwards but is noticeably more critical of the Conservatives - indeed, of all politicians. The first piece on his return is not even an attempt at satire, just an exasperated diatribe on how politics and politicians are lost in their own little world. I find it interesting and illuminating that this is what strikes even a seasoned insider after a time outside of the environment - and seems truer than anything else in the book. If I hadn't read up on the history of Jack Elliott and of this album, I would have assumed that this was some sort of take off. The hill billy "yee-haw" persona sounds so fake and overdone, and the whole sound is a dead ringer for Bob Dylan on his first couple of albums. In fact this is partly true. 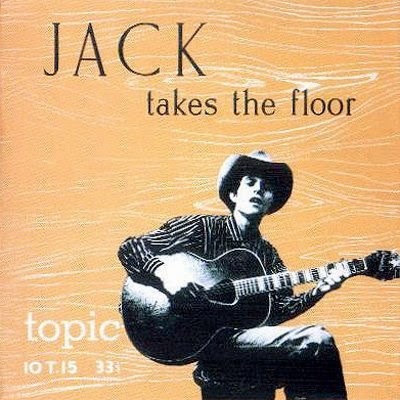 The main thing to note is that the influence ran the other way round: early Dylan albums were heavily influenced by Jack Elliott, hence its inclusion in the 1001 Albums You Must Hear Before You Die. It's not so much that you can trace the lineage from Elliott to Dylan, more that Dylan shamelessly copied Elliott lock, stock and barrel. And not just the sound either, but the whole persona. Both "Jack" and "Bob" were suburban Jewish boys who reinvented themselves in Woody Guthrie's image. The music is not my kind of thing - unremarkable traditional dirge-like songs with hokey introductions. I've only listened to the album a few times but I can't pick any out. Of historical interest only, and little of that frankly.